I was asked by a dear friend how to get a reluctant owner on board regarding pets. It is true that allowing pets is one of the biggest assets that I, as a landlord, have to offer. Many landlords, depending on the area, are not pet friendly. Who is in the position of power? The key to getting a landlord pet friendly is to know how much power you have as a tenant. If you are in an area with low demand and high supply, where houses having been sitting on the market, it is going to be much easier to get the landlord to give you and your pet pal a chance. If there are 10 applicants to every one house, then prepare yourself! You will need to put together a good package. How much flexibility in neighborhood, schools, and house type do you have? Like everything else, if there is a will, there is a way. You, too, will also need to be flexible and willing to compromise or make a sacrifice. So if you have two 80-pound dogs or one 4-year-old kitty cat (like myself) and you insist on finding a house within this one neighborhood that is one-story and is painted green, well, seriously, good luck! The chances of you being successful are very narrow and your stress level is going to be high. If you go into the search saying it is important for my kids to be in X school, my dogs to be accepted, and you are willing to make compromises, you will find success. If you allow wiggle room on your requirements, your success rate goes way up while your stress level goes down! So be reasonable on your expectations and remember you are only renting! Are you able to sweeten the deal? Remember the landlord chose not to advertise to allow animals for a reason. I always tell landlords when it comes to accepting people that don’t meet their requirements to figure out the source and then see if you can accept the reason. This is the same thing but reverse. Figure out what the landlord’s reasons are for the no animals policy. If they are highly allergic to cats and want to eventually move back in the home, this is a lost cause and you should move on. If they had an animal do lots of previous damage, you may be able to sweeten the deal. It is not always money that is the key, but rather understanding the relationship. Tenant Improvements – If the carpets are old, tell them that you will take the house as is if they accept your animal. Now they can put off an expensive repair for X amount of years. Large Deposit – The biggest concern is the damage an animal will do to the house. Show some skin in the game. People want to know that you have as much to lose as they do, so offer them a larger security deposit. Renter’s Insurance to Cover Damage – Get renters insurance that will cover the damage and name the landlord to be covered on the policy too. Pet Resume/Letter/Shots – Some landlords want a copy of all of this. Personally, this isn’t what would persuade me, but have it on hand because everyone is different. For a lot of people, showing that you are prepared and serious will go a long way. Humanize – If you are working with a management company, send a letter with a picture of your kids playing with the pet. Make them see your pet as part of the family. Don’t forget to think outside the box! During our first rental experience, we had an 8-week-old kitty cat, a 1.5-year-old German shepherd, a couple and their roommate (2 flight students and an unemployed wife in grad school). We were moving last minute to a small town in September. Let’s just say we were far from great tenants (who wanted TWO animals and roommates). It was far from helpful that all of the good stuff was rented because it was a college town. We were also on a budget. Paying for grad school’s expensive! After touring all the available properties with every agent under the sun in that town, I remember being frustrated. Because I am crazy I remember asking a crazy question, “Would one of your sellers be willing to rent to us?” Sure enough, one of her sellers’ houses had been sitting for six months. He was prior military and rented to us. Even better? It was below budget. Now it was by no means my dream house. Can anyone say pastels, multiple flooring types per room, etc? But it was an amazing location, price, and accepted our pets. Be flexible, don’t give up and remember, most landlords, including myself are humans too. Unfortunately, previous people have ruined them! So you need to prove to them that you are different. 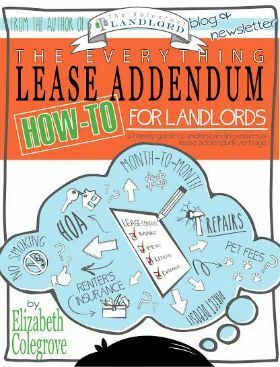 Know that these tips won’t work on every landlord. You will have to call around but eventually you will find someone. You might pay more, the house might not be perfect, but finding a pet friendly landlord means your entire family will be under one roof. 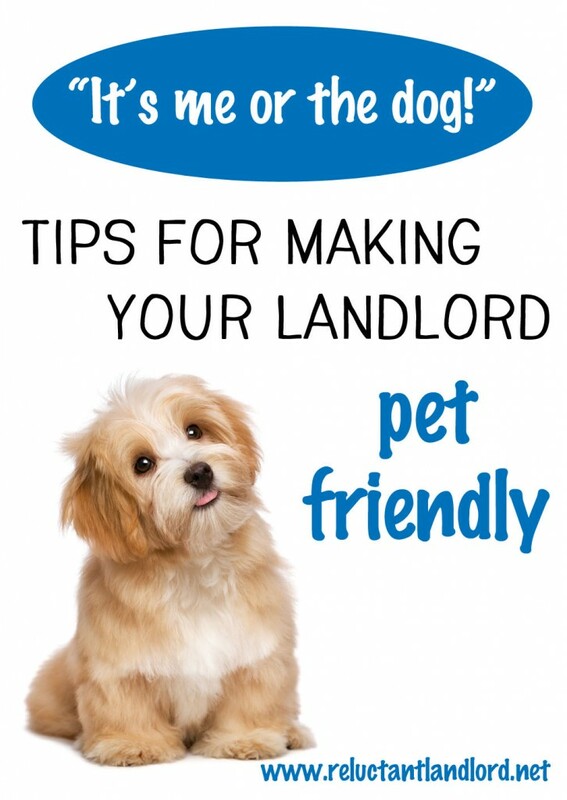 What has been your experience as a landlord or tenant regarding pet friendly renting? JOIN HUNDREDS OF OTHERS IN RECEIVING OUR FREE WEEKLY UPDATES STRAIGHT TO YOUR EMAIL INBOX! What are a Military Widow’s Death Benefits?